Book your 2019 Bareboat Yacht Charter Today! Whatever your fancy, we have something for everyone! 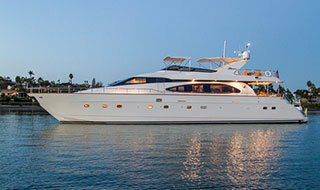 Check out our variety of power yachts, from trawlers to motor yachts and beyond. Let the wind catch your sails with our impressive sail fleet! Ideal if you are vacationing at a cabin location and need a runabout for fishing or sightseeing. While we can provide a skipper for any charter, these luxury yachts come standard with a crew. Find the perfect yacht for your next adventure. 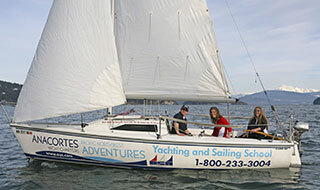 Begin your adventure with Anacortes Yacht Charters! IMAGINE taking a yacht to a faraway destination, then flying home and seeing an amazing view of the San Juan & Gulf Islands from the air. These sample itineraries can help you enjoy your vacation of a lifetime in the Pacific Northwest. Complimentary Cruising Concierge Service: Combine your cruising vacation with some exciting additions. Sit back and watch our beautiful virtual tour. A picture is worth a thousand words. Take a look at our photos and photos from our customers' adventures! Send an ePostcard to your friends and family! 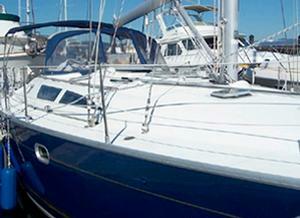 Yacht Chartering with AYC is easy! Make your reservation today!! 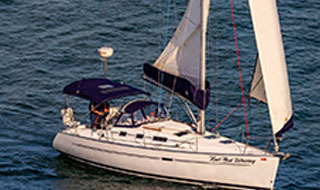 Chartering a yacht through Anacortes Yacht Charters is easy and affordable. We have entry level boats that are great for first timers and families. To ensure that you have an enjoyable and safe cruise, we want to be sure that you and your crew know how to handle the yacht you have chosen. 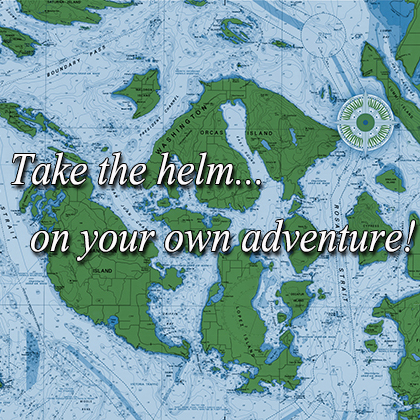 You've chosen your yacht and now you're ready to plan your cruising adventure! Charter details and forms are available on-line to assist with every detail. Check out our amazing clubs for great deals on yacht charters, exclusive merchant discounts, and savings on sailing school. Need help finding our location in Anacortes, Washington? No worries, we've got easy directions for you. The protected waters that surround these islands are a closely guarded secret of those who have discovered this Northwest oasis. See answers to common questions we receive from our customers. Get your full color printed brochure filled with dazzling photos and packed with information about bareboat chartering, yacht ownership, and instructional opportunities. promotions, fleet arrivals, news and more! Sign Up and Receive a FREE Waggoner Cruising Guide! We will never share your email with others. We value your privacy! Class Instruction - 10% Discount! Celebrating 40 Years in 2019! The Jeanneau Sun Odyssey 40 represents quality, innovation and fun; the fun of hanging out in a spacious cockpit with its unique twin-wheel steering stations. New white leatherette upholstery in Salon for 2008. Spacious interior featuring teak & ash hardwoods. Comfortable and spacious double in Salon. Veteran sailors will appreciate moving about on a clean new deck design and enjoy the ease of roller furling, main and jib with all lines leading aft. Pacific Northwest Yacht Chartering at Its Finest! 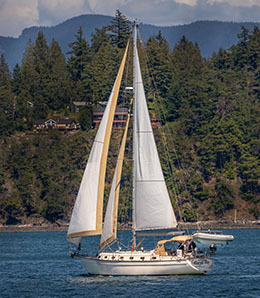 Located in Anacortes, the "Gateway to the San Juan Islands", Anacortes Yacht Charters has established itself as the leading charter company with the largest selection of power and sail boats available for charter in the San Juans and Gulf Islands. 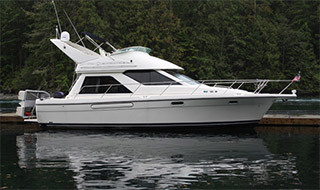 You may decide to charter as far north as Desolation Sound or Alaska, with our friendly reservation staff waiting to make your yachting vacation fulfill all your expectations. "You truly helped to make our journey a success." Beneteau 51' "Blew By U"
"Great experience, look forward to repeat performance soon!" "Great cruising grounds, quality of staff & facilities." Island Packet Cat. 35' "Excalibur"
"This was year #9. AYC customer service has stepped up a notch." See AYC at these upcoming boat shows! Anacortes Yacht Charters GUARANTEES: Should you have a breakdown during your charter, we will complete repairs with 4 (four) hours of notification for any vessels within 20 miles of our charter base. Specific systems that render the yacht inoperable will be covered under this guarantee, although ALL repairs will be dealt with for you. You will be compensated for any additional time lost past that grace period. Compensation, based on the Yacht Fees on the Invoice accompanying your charter paperwork packet, will be in the form of either extra time on this current trip, if available, or a Cruising Credit for a future trip. « Scan the QR code on the left to view this page on your smartphone. © 2019 Anacortes Yacht Charters. All rights reserved.